Here I was, in the parking lot behind a building where a professor once reprimanded me for classes missed, on a campus where I met my wife in a city where I formed lasting friendships as well as pounds around my waist that are unfortunately just as loyal. 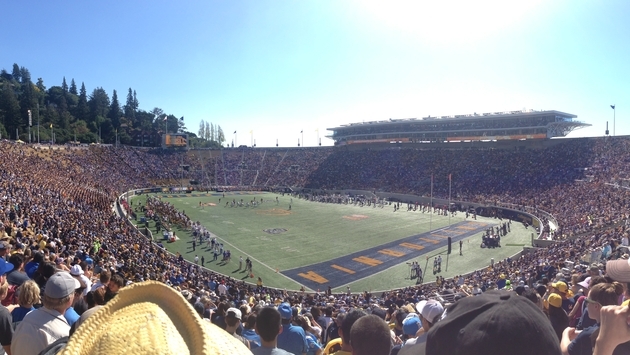 Here we were, a collective of hopeful Cal Bear alumni about to watch the football team compete and ultimately lose to the UCLA Bruins. However, first, there was some drinking that needed to be done. It was time, as is the case at these occasions, to shotgun a beer. 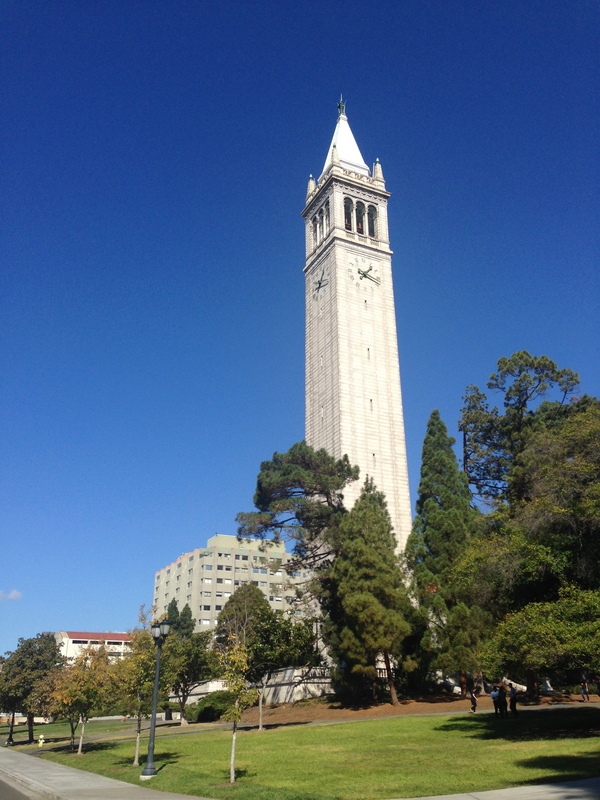 Taking a trip from Los Angeles back to Berkeley was decided upon a few weeks back—thanks to a friend who decided to lead the charge among Cal brethren. It’s a nearly annual trip that suffers a hiatus every couple of years, which allows each jaunt its own tint on a familiar place. The Berkeley I once knew is, of course, gone. It’s replaced by an ever-evolving one that features familiar restaurants and bars as well as entirely new destinations to visit. Much like places you might return to every so often, this special city gets renewed each time I return. So let’s visit some of the old and new with aging, but not-quite-matured eyes. That special cul-de-sac of a food alley still features the Mandarin House and Steve’s Korean BBQ, which still has one of the more affordable and deliciously satisfying grilled meals you can buy. And there are some new places to pique the interest, but my morning was going to start with a King Pin Donut despite the line. The chocolate bar was sizable, like a sweet brick of delicious dough, but it was far more dignified than all that. The bar was soft, fresh and delightful, soaking up the previous night’s sins, gastrointestinal and otherwise. Tucked ever so quaintly behind Dwinelle Hall was a tailgate I was fortunate to have been invited to enjoy, and enjoy I did. The cheap beer paired nicely with the breakfast burritos cooked up on the spot. Singing the Cal Drinking Song before shotgunning a beer is the only way to kick of a 12:30 football game—at least when you aren’t demanded to also play in one. Now anyone who has tailgated in Berkeley will tell you that it’s best to bring your walking shoes, because no matter where you find yourself, there is a nice hike up to Memorial Stadium right after. This was my first trip back to the stadium since it was reopened in 2012. For the most part, designers deserve congratulations. 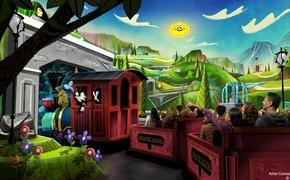 The iconic design is still present alongside new steps and entry points. Classic mixes with new in a marriage I see as mutually beneficial for the foreseeable future. The faithful all along Tightwad Hill, thankfully, remain as well. Now you have plenty to sate your hunger after a football game, because Berkeley is a treasure trove of fantastic meals on the cheap. My not all that athletic behind couldn’t wait to get his mitts on I.B.’s Hoagies fare. As previously mentioned, the years can transform how you think of certain places, because my feelings on this spot may have been slightly skewed. The bacon cheesesteak was drier than I recall, missing the abundance of meat I remember. And the bucket of chili cheese fries was depressing, missing half the afforded complement of goodness (Read: chili and cheese). Perhaps one of my favorite locales had an off day, or maybe it was never all that amazing. I am willing to consider the former, because everything else was as it should have been. 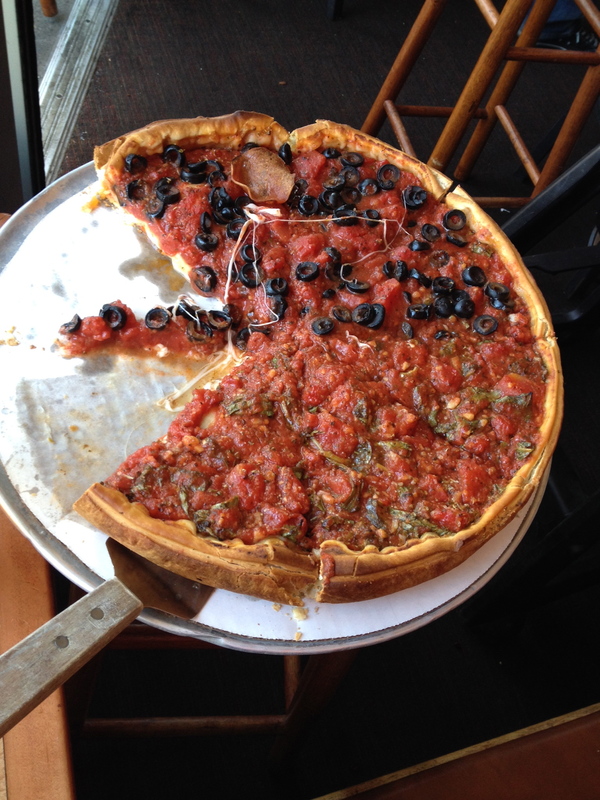 In fear of being reprimanded with Internet vitriol, I won’t say that Zachary’s has one of the better deep-dish pizzas I’ve ever had. Let’s just say that the joint has a thick pie in pizza form, which features a crisp, flaky crust with enough substance to handle the gobs of succulent ingredients placed on top. Let’s not get into a big ordeal here and just say it’s good, damn good. In fact, there is just one place I have to visit upon every visit north, and this is it. Now I have had better deep-dish fare as well as worse. Both extremes came, coincidentally, within the confines of Chicago. That Zach’s rests comfortably in the middle isn’t a sign of mediocrity, rather marvelous majesty. Unfortunately, a weekend isn’t nearly enough to time to stuff your face with all a city has to offer. Trust me; I’ve tried. Now the obvious place to visit is Top Dog, home of cooks who grill as quickly as they take orders. From the famous Top Dog to the Calabrese, everything is wonderful. Although, they need to bring back the Bird Dog, because it’s absence nearly destroyed my wife for the weekend. Another cheap but amazing spot remains the semi-hidden Cheese ‘N Stuff. Do yourself a favor and get a Turkey Delight, a sandwich that turns the most generous sharer of food into a greedy S.O.B. In any case, Berkeley proved to once again be an eclectic mix of people, places and culinary hot spots. Never satisfied, the town always leaves me wanting just a little bit more, which is all I need to return.